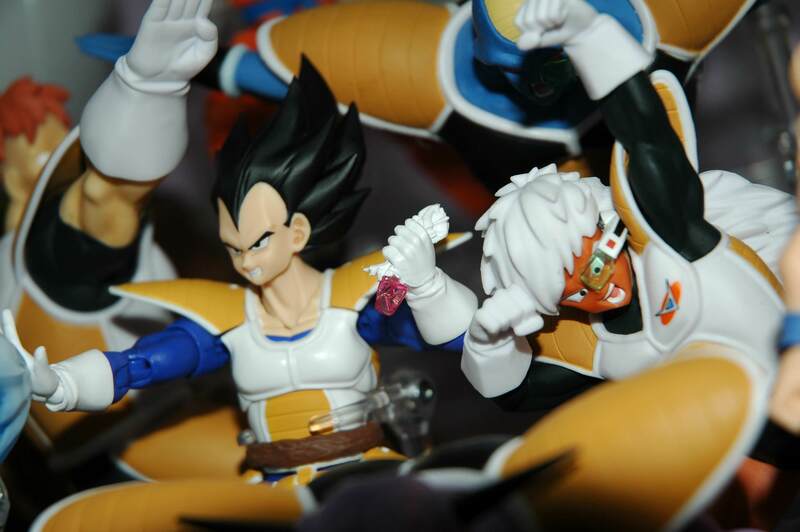 The Figure Collection Chaozu with Tien. He's decent. Not perfect, but decent. Chaozu comparison. Ascat I know that juanjorman owns the HSCF Chaozu, maybe he can provide a pic. My custom below utilized the body of a bootleg one. I changed the arms out because the originals are too long and the head is pretty huge, so I used a Chara Puchi Krillin head that I resculpted. If you don't care about value, I'd recommend taking the Figuarts Chaozu's head off and putting it on The Figure Collection body. If not that... then put it on the HSCF body. sweet!!! thanks bran, i think ill do your recommendation i will just take off the head on the figuarts version and put it on the figure collection version. 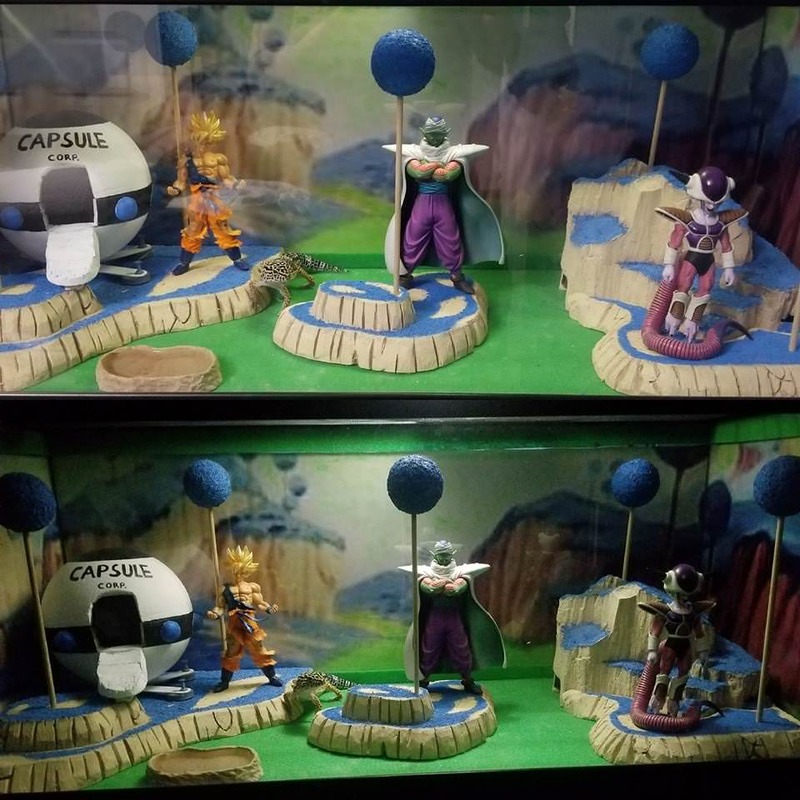 Here are some figures I got from buying someone's collection, and how they compare with my Figuarts Yamcha, The Figure Collection Yamcha, and some other figures of mine. 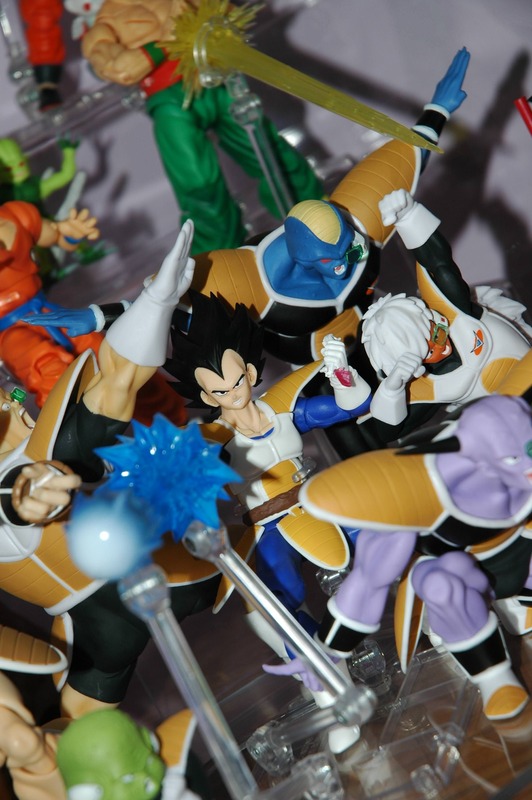 I'm actually going to be reselling every single figure in those pics except for: Figuarts Yamcha, maaaaaybe King Kai and Bubbles, Krillin, TFC Yamcha, Gohan, and TFC Chaozu. So send me a PM if you're interested in any of them. They are almost all mint, perfect condition. I'll be wanting the price they sell for on ebay minus 10%. So buying from me will be 10% cheaper than buying off ebay. Nice collection there Branjita. I'm actually interested in that Irwin Puar if you still have any spare. Only problem is i'm in the UK. Was looking at the set with Yamcha on eBay and it goes for around $30. Let me know if you think shipping to the UK would be too pricey. 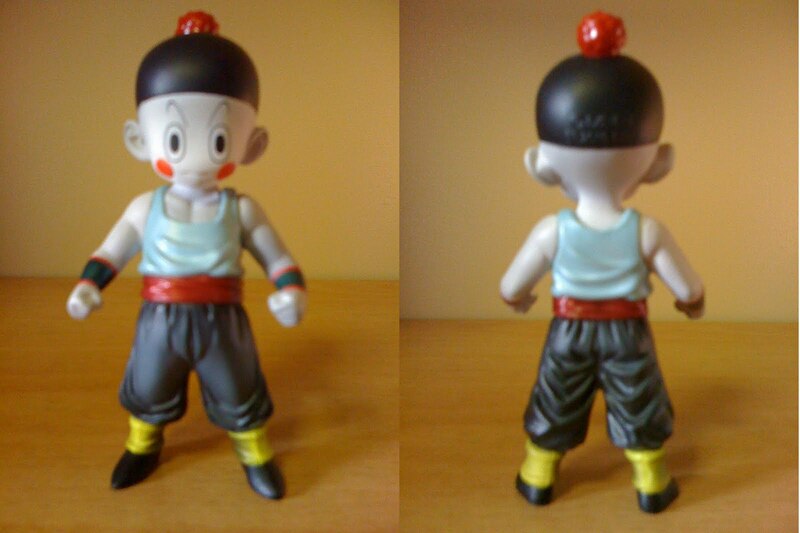 I think the FC Chiaotzu is perfect enough with Figuarts Tien. Unfortunately no articulation. That's the only large exploding Cell that exists to my knowledge, so it's the biggest and only option. HSCF Chaozu might be smaller bodied than HSCF Gohan, so that's a good idea Ascat. I hate the head he has, but if you're using the Figuarts one, then it might look great! You might even be able to get rid of HSCF's awful looking arms too and use Figuarts Chaozu's arms but I kind of doubt it. I really hate his arms, but they might not bother you. They are so skinny and long. But the giant head is the biggest problem with it. The arms are something I could live with. 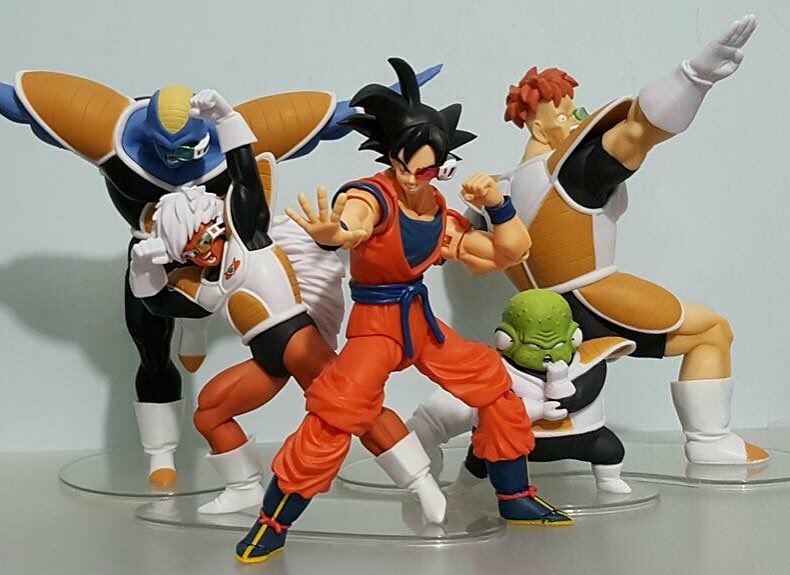 Hey guys, I know these figures came out almost 2 years ago, but whilst they were discussed on the Japanese figure thread, they weren't here. Is that because they aren't considered good scale? I just recently picked them up and thought they looked great. 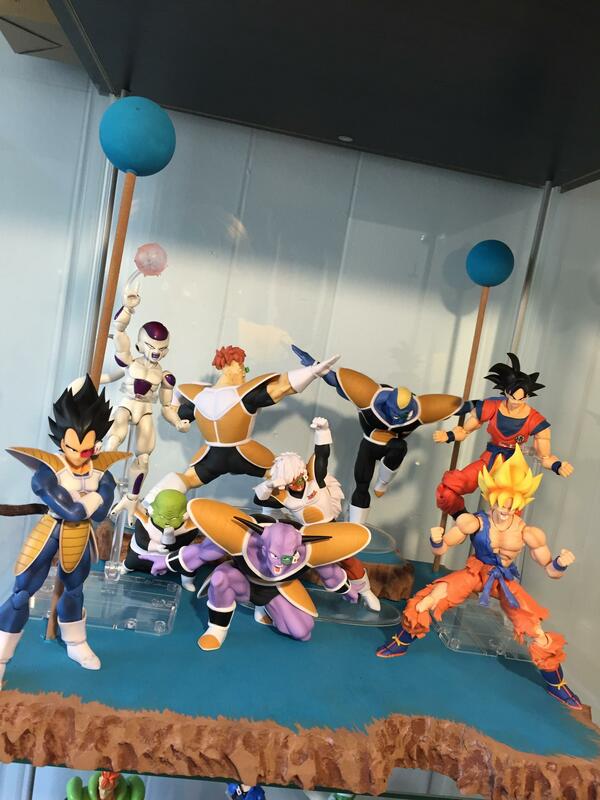 Excited to display them with the new Namek Goku in June. For me, it's not just about scale in a display, but also dynamasim and finish. Whilst not possible, these figures really bring a sense of style, and the paint and color application closely match those of recent Figuarts. Just compare the tone of Vegeta and Jeice's battle armour. it's near on identical. The Guldo definitely looks to scale! The rest are a bit small, but they look great and there's no better options particularly! You think they look small? I did at first, I keep going back and forth on it, but then when I look at the positions they are in and imagine them upright they would be perfect. Take the Recoome for example. I am no expert on how tall he should be, but his proportions are practically identical to Nappa, so they'd be the same height if he was standing. Jeice is the same size as Vegeta. You can even see from the hands, they are a match. Burters may be a little on the short side, but he is bending considerably, so it's very hard to tell. Ginyu is impossible to work out. 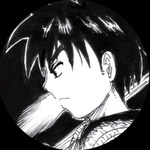 His proportions appear to make him a good head taller than goku, but he's hunched over so much we'll never know. Yeah, you are right about no other options. I'm struggling to find any other figures that not only scale, but also look good quality-wise. I think these guys are about it. Yeah, a little bit. Burter and Recoome are especially small for how large they should be. I've looked back at some older posts and copy and pasted some stuff below for you to look at. I've edited it a little bit so you don't have to read too much unnecessary text, and also updated it a little. Salza is probably a little shorter than Yamcha (taller than Goku) but not as built in stature (skinnier). Perhaps 5'10". Jeice is shorter than Salza by perhaps 2 inches... making him around 5'8" and the top of his puffed up hair is at Burter's hips and Recoome's abs. 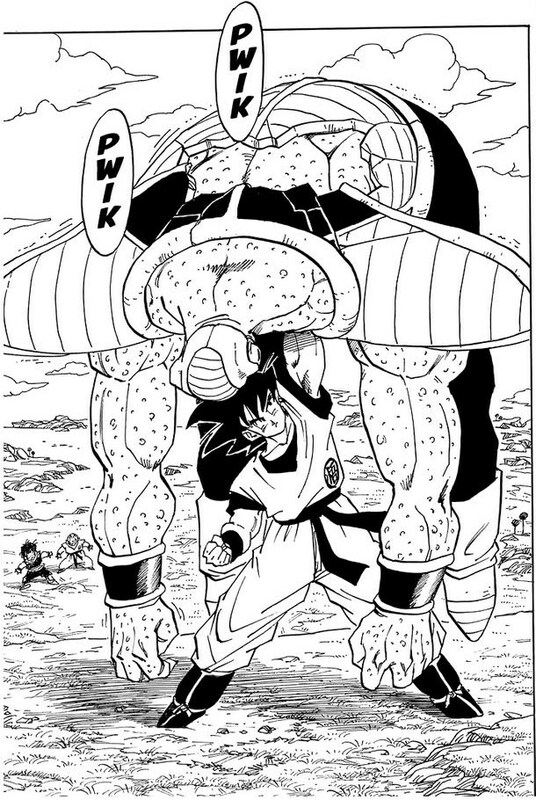 In the fight against Vegeta, particularly in the manga, you can tell that Jeice is supposed to be about Goku's size in the manga and anime by just imagining how large Goku would be fighting Vegeta in this saga. Salza is taller than Jeice by about 2 inches... and the top of his similarly puffy hair is at the bottom of Doore's pecs and Neiz's crotch. I like the list this guy on www.neoseeker.com/forums/88/t2001395-heights/ wrote for the most part. There's some problems, but it's fairly decent in what I quickly looked at. As far as the info below, I kind of think he over exaggerated Burter's height. I don't think he's 1 foot, 4 inches taller than Recoome. I think his height for Jeice is obviously much too low, because Jeice is significantly taller and larger than Vegeta in both the manga and anime. But for the purposes of scaling characters, it isn't THAT important in my opinion for extremely large characters to be extremely large in collections. 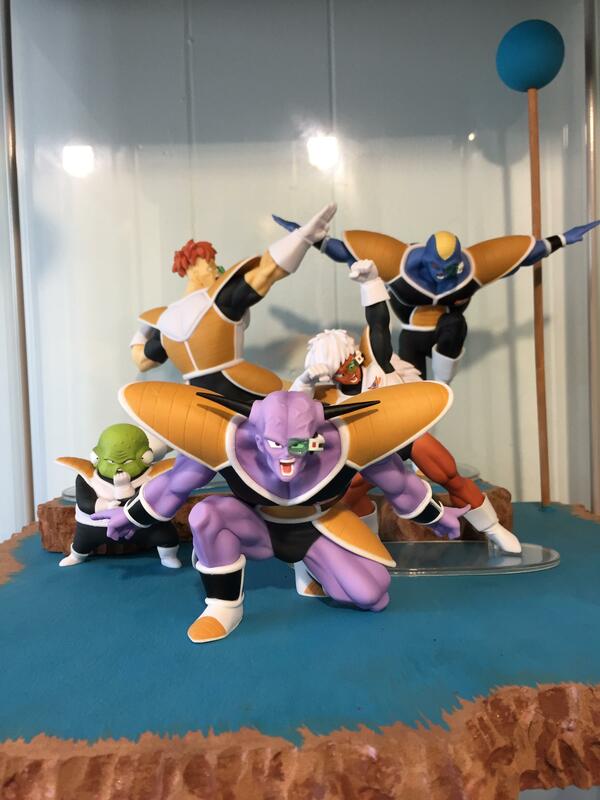 These figures are as close as anybody will probably ever get to Figuarts scale Ginyu Force figures (unless Tamashii actually makes them... which would be AWESOME), and pretty much all that is reasonably available. There are some statues, but they are actually too large if I remember right. Perfect!! Thanks for all that Branjita!! Wow, I honestly didn't realise how big the Ginyu force were. 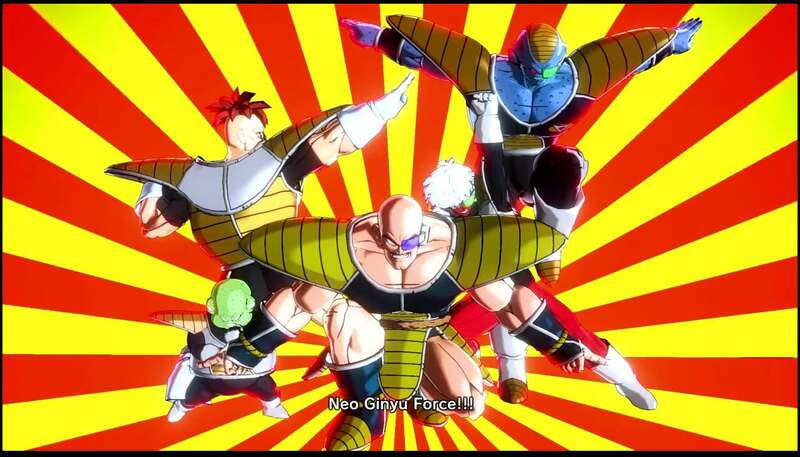 No idea Ginyu was taller than Nappa! That makes Recoome and Burter monstrous. That being said, it's then made me look at my other figuarts, Piccolo being a perfect example, and realise just how out of scale they are already! Regardless, I find them aesthetically pleasing. Like you said, it's unlikely we'll see real SHF if them anytime soon. 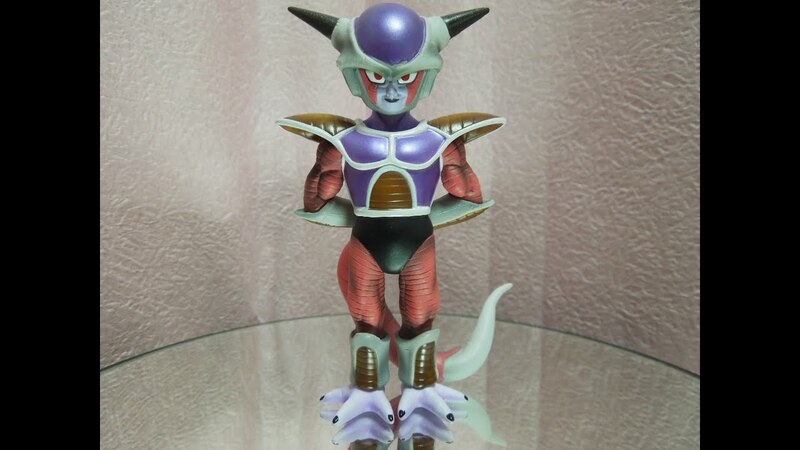 In the meantime I'd just really like to find a first-form Frieza that fits, but their ether the wrong scale, wrong colour tone or just have a poor quality finish. 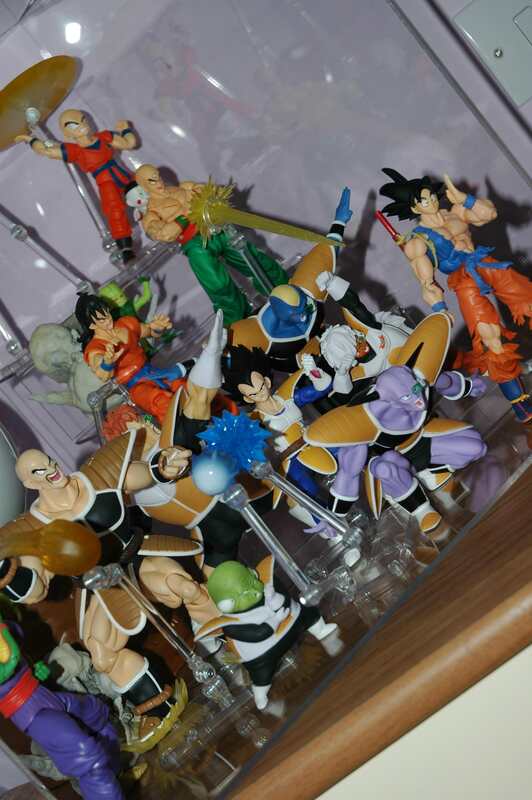 The Piccolo Figuarts figure is actually quite well scaled for the battle against Raditz... but otherwise... not too good. He was not that much taller than Goku during the battle against Raditz. 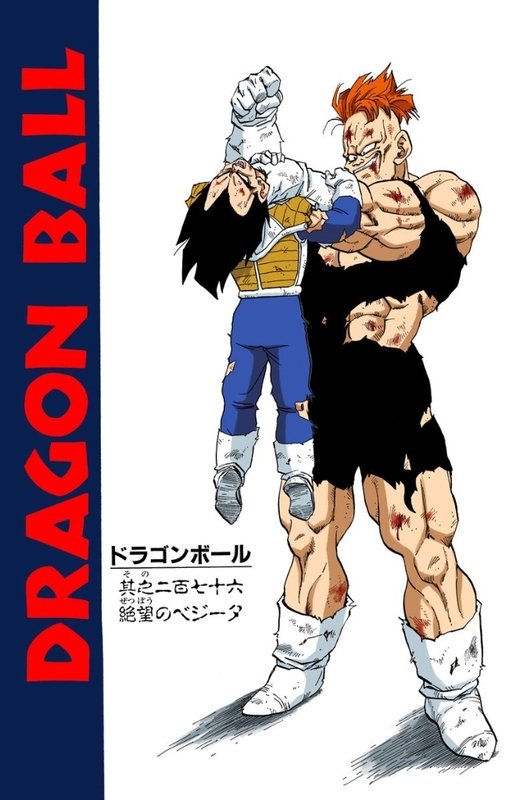 A year later in the battle against Vegeta and Nappa, he was just over Tien's height. By Buu Saga he was more than a foot taller than Tien lol. Thanks. Yeah it's not bad. I've seen pictures posted a few times, but for me, the quality just isn't there. If I had better artistic skills i'm sure I could repaint it, but I'm just not feeling the chrome finish and poor QC. I don't think it would be cohesive in my display. Alternatively, do you know if the HQ DX freeza scales? Wow that one has some paint flaws on the head. The quality of mine is super high. It's actually one of my 5 favorite figures I own in all of my 500+ figure collection! The HQ DX Frieza form 1 is enormous, you wouldn't want him. 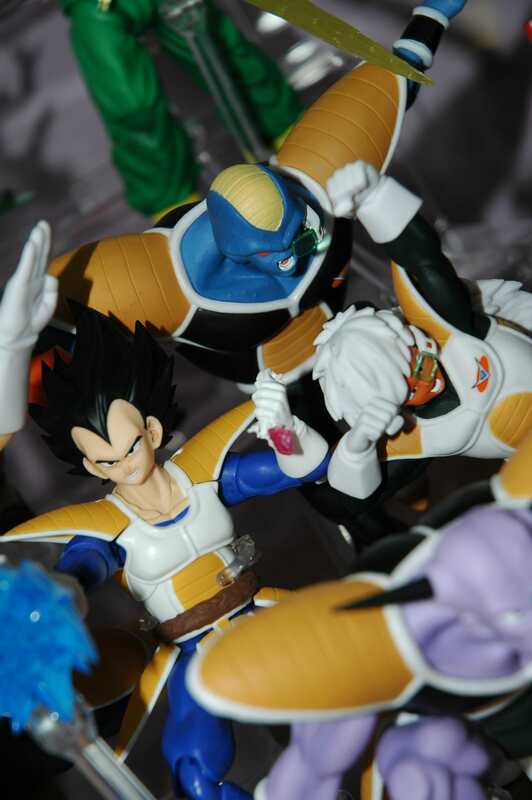 There's a figure of Frieza in his pod that would scale kind of ok, but I don't know what line it is from. He's a little too big, but not awful. The Figure Collection figures in this pic are just slightly larger than Figuarts usually. 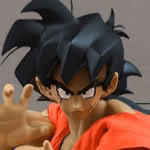 The Yamcha is identical in height to Figuarts Yamcha. I think that Frieza might be Figure-Rise Mechanics. Thanks again Branjita. This is all really helpful. I was trawling MFC yesterday, but I just couldn't find the pictures I was looking for. I have around 500 figures also, but they are spread out across lines. Most are One Piece Portrait of Pirates, but then I have Medicos SAS, Tamashii Figuarts MaxFactory Figma along with WCFs mongst others. 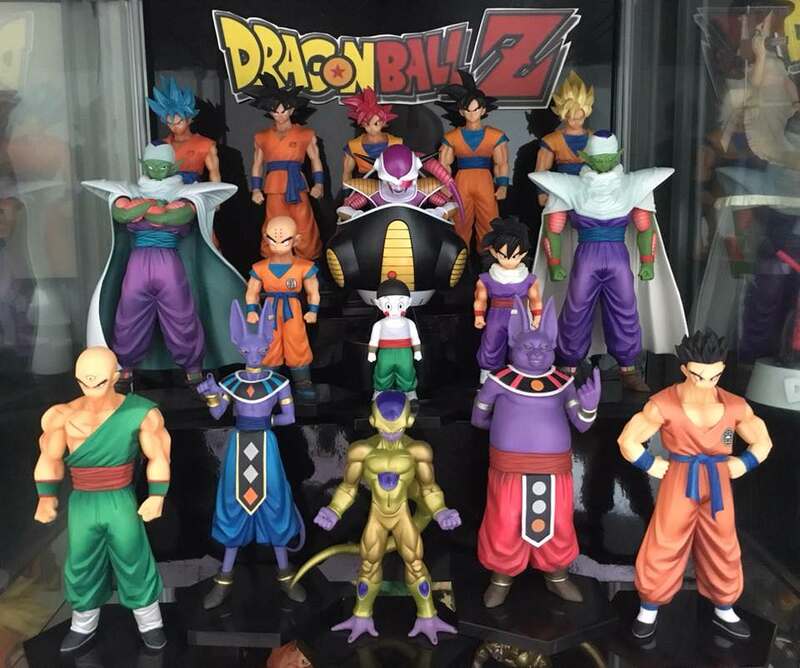 I likes the scale of the HQ DX Freiza from 2, but sounds like the rest of the line doesn't scale well. 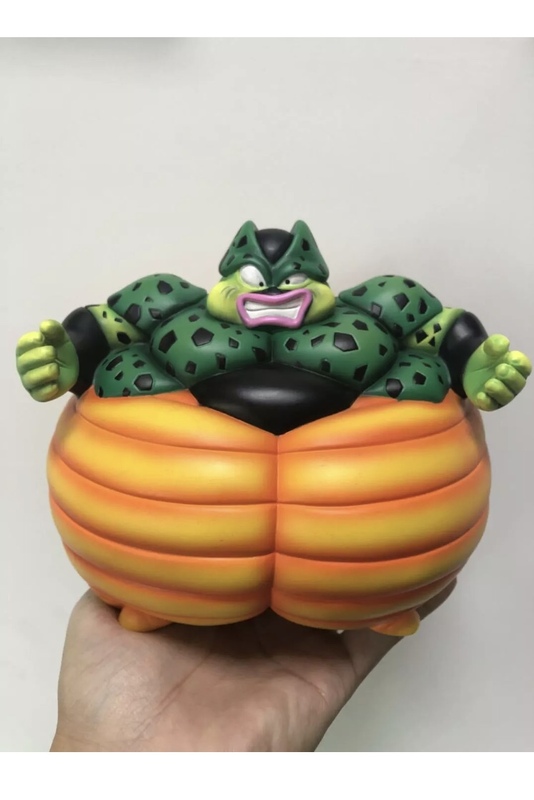 Does anyone have a picture of this Movie Collection Porunga next to SHF? I think he might be on scale with Shenron.